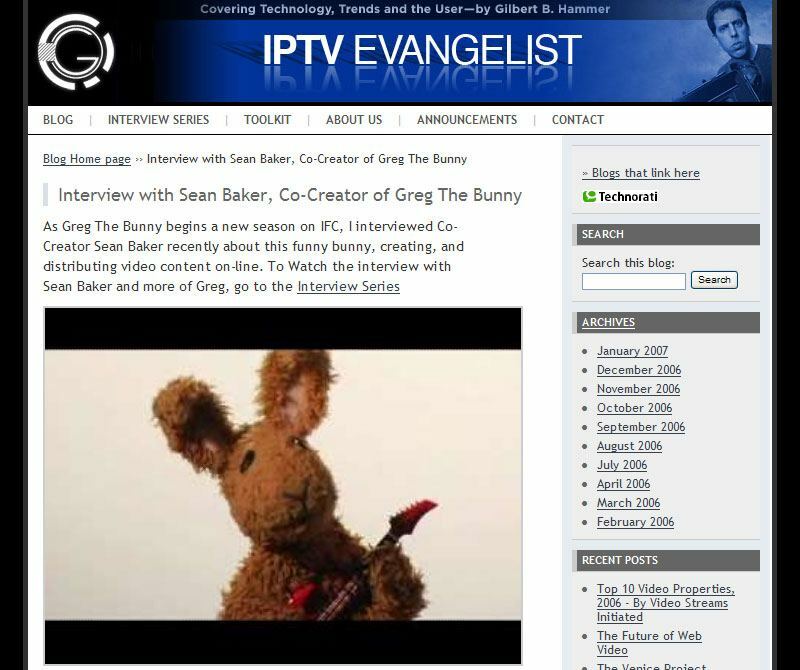 IPTV Evangelist :: International Portfolio :: PRO IT Service S.R.L. - Choose a professional and accessible service for your online image! Web site Development, adjusting Web site layout, content management system upgrading and further developing, search engines compatibility, hosting and maintenance for IPTV Evangelist, Covering Technology, Trends and the User - by Gilbert B. Hammer. Implementing MovableType extra facilities for: Email to a Friend, Printer friendly version, Online Bookmarking Services, Comment Anti Spam CAPTCHA Barrier etc. Contracting from Gilbert B. Hammer, New York City, U.S.A.